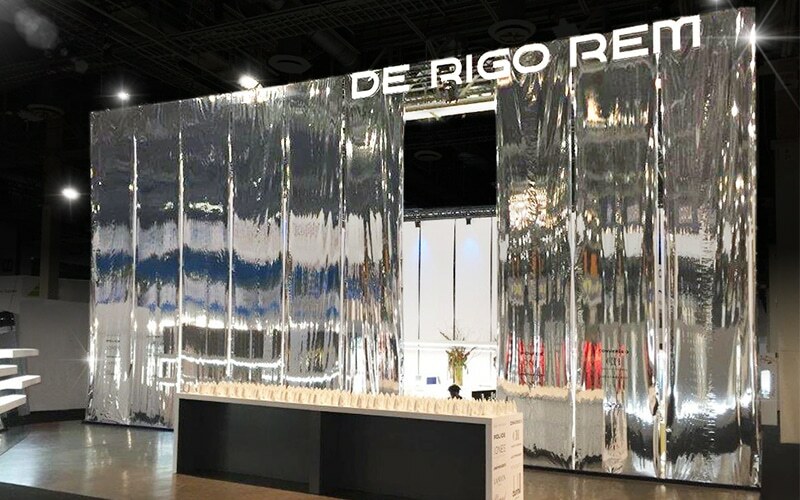 De Rigo REM had just merged, and they wanted to debut their new company with an impactful, disruptive exhibit that cut through the noise at Vision Expo. Gilbert created a series of modular environments that utilized distinctive materials and experiential moments to generate foot traffic, attendee buzz, and introduce this new company to the world. Since its debut, De Rigo REM’s exhibits have included a blue vinyl cube room, a military fabric draped environment, and a branded Converse tunnel. 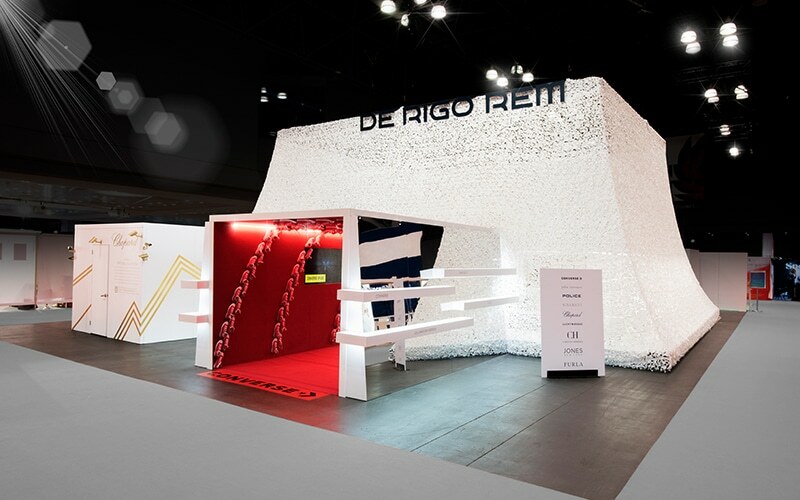 In 2018, De Rigo REM’s exhibit won the award for “Most Creative Booth Design” and there has been significant brand awareness around the new company since 2017.